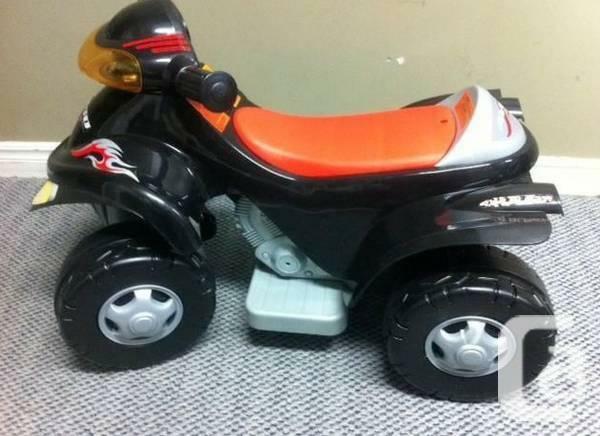 Great condition, Kid's 4x4 motorized ride on toy for hours of safe, exciting fun!! Recommended for a 2.5 to 4 year old child. Only used indoors a handful of times as my child received a duplicate gift. Comes with charger adaptor. Asking $60 (retails for $89.99 at Toys R Us).